Here are my got-to self-esteem activities - 16 of them plus a special bonus activity:) What I know for sure is that nothing ever comes out of thin air. If you want to build confidence and self-esteem, it's going to require some effort. The good news is that this doesn't need to be difficult or time-consuming. The following self-esteem activities are quick and actually fun! First things first. Let's talk about goals and how they can help you boost your confidence. Goals help in many areas of our lives. They help us get more done. They can help us forward more quickly in life, work, or school more quickly. Not only that, they also force us to think about what we want, break it down into actionable items, and set a deadline. With smart goals like that in place, you'll be making in measurable progress in no time. That in turn will give you a big boost in confidence. That confidence is all you need to get the courage to tackle your next set of goals. Let's look at this process a little closer. The first step is to determine what you want. What is your specific goal going to be? Notice that I said specific. Wanting to lose weight, get in shape, or having a lot of money in the bank are a starting thought, but not a real goal. If you don't know how much weight you want to lose, you don't have anything to measure your progress on. If you want to lose 10 pounds, a two pound weight loss is a great first step. If you don't know how many pounds you want to lose, you won't know if those two pounds are where you can stop, or if they are a small drop in the bucket. If you want to get in shape, you need to know what "in shape" looks and feels like for you. Does it mean keeping up with your toddler when you're running around on the playground? Or does it mean running a marathon next year? They are two very different goals that both fall under "in shape." Yet the preparation and what it will take to reach each goal will be very different. You can't begin to measure your success unless you set a real, well-defined goal. The same holds true for the idea of having money in the bank. That's all it is, an idea. It's not a bad starting point to set a goal, but it's not an actual goal. Do you want a couple of hundred dollars in the bank after paying off all your outstanding consumer debt, do you want to save up $10,000 for a down payment on a house, or do you want to have six months' worth of living expenses in savings as a financial safety net? Those are all very different goals that all fall under the idea of "money in the bank". They may even amount to a fairly similar dollar amount, but the motivation behind them and the use for that money is different. That's another important part of setting a goal that will help you boost your self-esteem. Don't throw an arbitrary number out there, whether its money in the bank, pounds lost, or how fast you can run a mile. Make it mean something. Itís much easier to stick to the goal of saving $10,000 for a down payment on a house. You'll be able to stick to eating beans and rice twice a week and cutting back the cable package if you know it's for realizing your dream of homeowner ship. Not only that, but as you get a step closer to that goal (by depositing and extra $1,000 when you get your tax refund, or a bonus at work), you'll be proud of what you're doing. Each step that gets you closer to your goal has real meaning and it increases your self-esteem and your confidence. Grab a journal and pen, and give jot down three compliments about yourself. Perhaps you like how your eyes glow in the morning light? Or maybe you appreciate how your hair looks today? Perhaps you believe that you are a smart and intelligent person? Just find anything… anything that you appreciate in yourself, things that make you feel good about yourself. The goal is to focus on your positives! Maybe your body is telling you that you are completely out of shape, it says that it needs to be exercised and that it doesn’t feel comfortable. Go ahead and do it, stretch at home, go in the gym, jog on the street or perhaps hike the nearest mountain. Perhaps your soul wants you to see some dear person that you haven’t talked to in a while. Maybe it is a dear friend of yours, your brother or sister. Do it, listen to your soul, go on a cup of coffee and spend some time with that person. What about your Mind? Maybe it’s telling you to listen to some special piece of music, to learn a new language, to clear up your yard or buy a new bicycle, or simply that it's time to meditate and calm it. Whatever its needs, step into action, and do it! Start nurturing your body with healthy foods. Exercise regularly. Make a schedule and do it every day even if it is a simple exercise, such as stretching in the morning, or walking in the park. Perform personal hygiene tasks that really make you feel good. Showering is a good thing! Take showers every day, wash your hair, and brush your teeth. Sounds simple enough, but so many people I meet with low self-esteem start to neglect themselves - even these most basic needs. In other words, don't let yourself go! The title says it all… Just pick up your most favorite clothes from your wardrobe and wear them. If you can’t think of anything good, go and buy something for yourself. Choose something really good even if you have to pay a little bit more. Take a large piece of poster board and a stack of magazines to go through, then browse their pages to find pictures that represent yourself, your talents, abilities, and aspirations. I always recommend setting the bar low! I know this sounds defeatist, but it's far better to take baby steps towards any goal than to fail straight out of the gate and give up. Make your challenges ridiculously low. For instance, if you want to increase your exercise level, start with a goal of 1 minute per day. I know this sounds extreme, but think of all the times you may have foregone going on a walk or going to the gym altogether. One minute is better than no minutes. What I discovered through this technique is that 1 minute usually leads to more minutes. Getting started is always the hardest part! Our minds are not that bright. Sorry for the sad news! Our minds tend to believe whatever we tell them to believe. But, we can use this to our advantage. 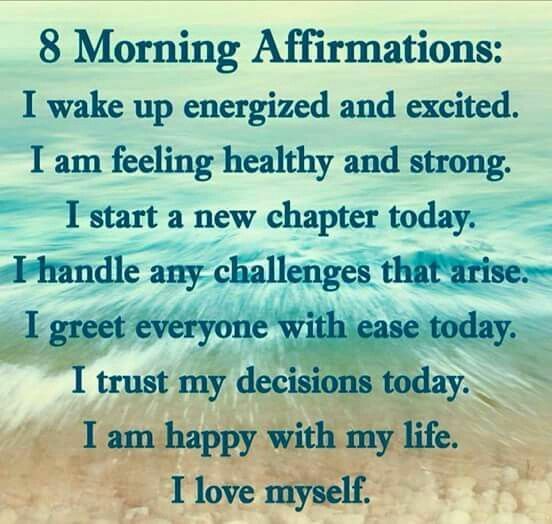 Start using affirmations to quickly build self-esteem and confidence. Read them on a constant basis and be persistent. Changing your perception for yourself and replacing your self-image with a new one, takes time and effort. When self-esteem is low, we tend to believe we don't deserve anything good. It's time to show some appreciation for yourself. Do something nice for yourself– for example, schedule a spa session, or get a new haircut. Treat yourself even if you're not in the mood to be treated. Again, your mind can shift gears pretty quickly once you're in the thick of something good. Developing a healthy sense of humor can help you improve your self-esteem, especially if you learn to make light of life, and give up taking yourself so seriously. If someone makes a joke that is unintentionally hurtful, laugh. Take a plastic bucket, and hammer in several nails into its bottom. Fill the bucket with water – that will be your self-esteem. Now start removing the nails – the hurtful comments or life experiences that have led you to having such a bad mental picture of yourself. Once the bucket is completely empty, begin to brainstorm ways to plug the holes – and hence improve your self-esteem. For example, exercise, a strong family, earning more money by starting a new business or working from home, working on your love life, and other activities you find pleasure in. If you are wondering the goal of this exercise it's to show you what hurtful life experiences, and negative things others have said to you, can actually do to your self-esteem. In turn, you have the strength to develop creative solutions to boost yourself up. Increasing your self-worth is a matter of what you do to be worthy in your own eyes – and there is no better way of improving self-esteem other than making a contribution. For example, you may help clean up your neighborhood, or volunteer for a local cause. Hobbies can help you enrich your creativity. So, why not find one you can pursue independently, with no one to tell you what you are doing wrong? If you are unsure of what hobby to go for, think about what you would like to do. Perhaps you love holding a digital camera in your hands, and photographing wildlife, or various stances of urban living. Or maybe you like the thrill of treasure hunting with a metal detector? Paint, sculpt, crochet....Your imagination is the only limit! When you produce a creative piece, you're creating something unique found nowhere else in the world. Goodness knows we hear all kinds of negative stuff. Turn on any TV, and you'll feel depressed pretty quickly. It's time to here something positive. If you like, you may opt for a different approach, and talk just as if you were talking to a friend: “Don’t listen to them, Stephanie. You are a very worthy person, don’t let anyone change that – ever“. While venting and getting some bad words off your chest can actually be helpful, it's important not to get stuck in this negative mindset. Complaining also can be a good venting technique, but it won't help in the long-run. If you're committed to boosting self-esteem and getting into the right mindset to achieve your goals, please have a listen to my FREE CONFIDENCE BOOSTER HYPNOSIS SESSION. Ready to become an EXPLORER OF LIFE? Check this out.